Some continue to blame the great recession and the weak recovery on some intrinsic failure of the market system, the latest supposed market failure being a so-called “secular stagnation” due to a dearth of investment opportunities and glut of saving. But the alternative view that policy—and policy uncertainty in particular—has been has a key factor looks better and better as the facts role in. Last week a joint Princeton-Stanford conference held in Princeton focused on policy uncertainty and showcased new findings on connections between policy uncertainty and political polarization and on patterns in different states, countries and time periods. 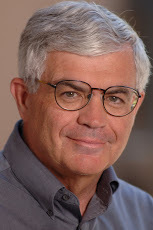 Danny Shoag, for example, presented new work “Uncertainty and the Geography of the Great Recession,” co-authored with Stan Veuger, showing that policy uncertainty across the United States has been highly and robustly correlated with state unemployment rates. As the authors explain, their “paper serves to counter such claims” as those made by Atif Mian and Amir Sufi that “an increase in business uncertainty at the aggregate level does not explain the stark cross-sectional patterns in employment losses” which had cast doubt on the role of policy uncertainty. Scott Baker, Nick Bloom and Steve Davis had written extensively on this at the national level and also presented new work at the conference. Bloom along with Brandice Canes-Wrone and Jonathan Rodden organized the conference. 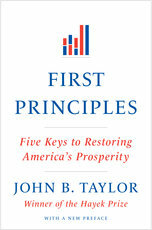 In the policy panel at the end of the conference I argued that “Policies in Front of and in the Wake of the Great Recession Haven’t Worked” putting policy uncertainty in the context of four other areas of policy slippage described in First Principles: Five Keys to Restoring America’s Prosperity.